For those of you who love cringe comedy, Chelsea Handler promises a treat: Kanye West and Taylor Swift back on stage together. The late-night E! talk queen told Ryan Seacrest on his radio show yesterday she hopes to put the two stars back together when she takes charge of the MTV Video Music Awards this year. "Do you want to go after Kanye?" Seacrest asked the newly-appointed emcee. "I'd like to get them together, is what I'd like to get," Handler shot back. 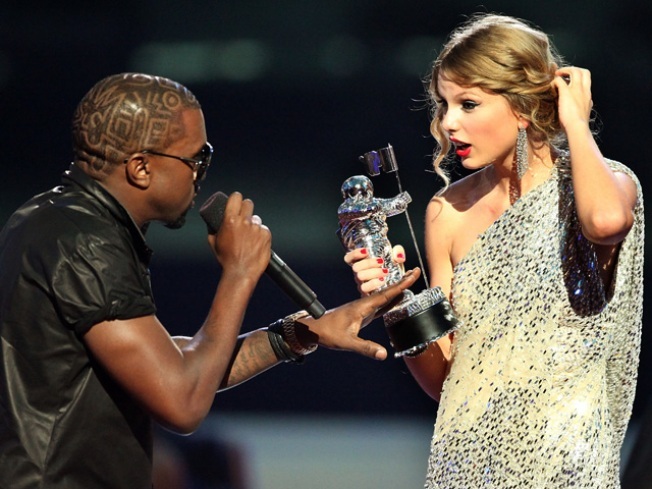 Taylor Swift's career became forever entwined with the mercurial rapper Kanye West when he stormed the stage of 2009 Video Music Award and snatched the microphone out of Swift's hand. 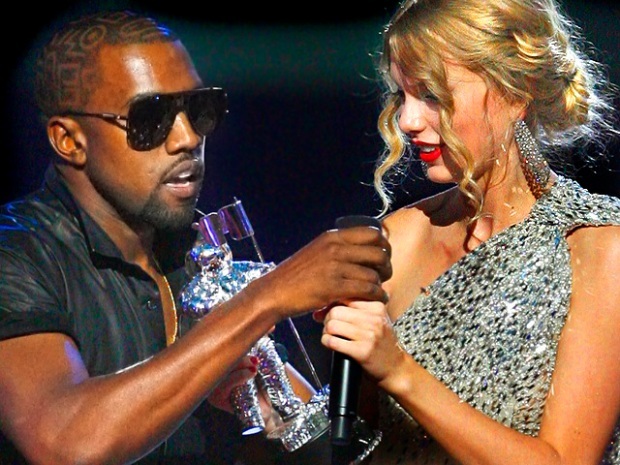 After Kanye spewed rambling criticism at the singer, Swift's career soared to new heights. She collected a handful of awards, 8 songs on the Billboard Top 100 chart, and got to host Saturday Night Live. As Swift climbed, Kanye crawled, down into into a hole of media exile. 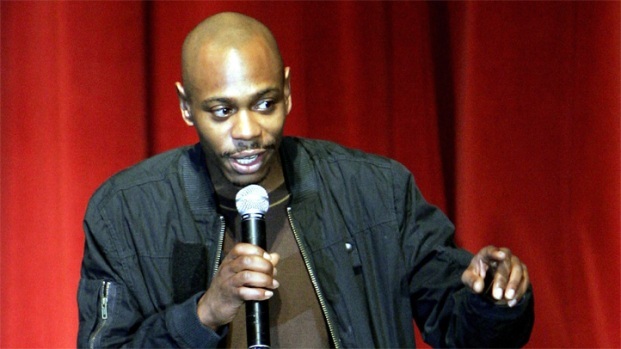 Prior to the release of his new single, "Power," the only news about West over the past year was when his luxury cruiser got snatched and then crashed into a Honolulu mansion. "You've never really seen them together since then," Handler said about the star-crossed duo. "They were supposed to be on SNL but that didn't end up happening." The host of Chelsea lately would not pin down how the reunion would work out, but promised, "We'll try to thing of something clever to do with them." Handler said Lady GaGa was not scheduled to perform, but said the wacky pop star would be in the audience. "We'll probably end up wearing the same outfit," Chelsea said. Selected Reading: Kiss FM, L.A. Times, E!